grass stains: Will it be a Leia or a Luke? Will it be a Leia or a Luke? So now that I've shared The Big News with you, I think most of the rest of this week is going to sort of build on that. Obviously I have lots of thoughts swirling around in my head, and there are also some fun things to share, like the boys' reactions to hearing the news. I also wanted to give you all a heartfelt "Thanks!" for your sweet comments yesterday; I think I've responded to everyone who had an e-mail address attached to their comment, but if you didn't and you'd like me to e-mail you, please leave a Comment with your e-mail address in it or e-mail me at stainsofgrass (at) yahoo (dot) com so that I can get in touch with you. Today, I'm going to start by sharing the moment we told the boys about it ... I couldn't have asked them to be happier about it. I only wish I'd gotten the three or four times Jakey told me, "I AM THE BABY" on video ... the big boys kept telling him he is going to be a big brother, and he kept reminding them that HE is the baby. It was hilarious. Within minutes of telling them the news, Nathaniel and Nicholas dashed off to the craft table (you know the one; IT'S TO THE LEFT OF THE MANTEL) and started making lists of acceptable [to them] baby names. You will note that one of Nathaniel's top girl names is Leia. One guess where THAT comes from. 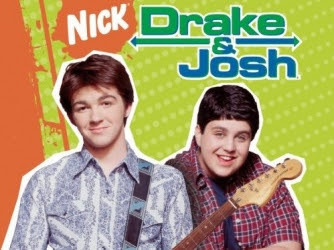 And Nick's boy names include Drake and Elliot, his best friends from school ... but he let me know that "Josh or Josh-oo-ah would be good, too." So we don't have any names yet, but I'll certainly keep you posted on which TV shows and movies provide us with the most inspiration. I'm standing by my girl prediction. The boys were hilarious. That's about how our react when we tell them another one is coming. I'm so excited for you all. Looking forward to reading your blogs in the months ahead as your family embarks on this fantastic journey. Cheers!! Congratulations and thanks for the phone call ahead of the public announcement. I feel special! Uncle Chris submits his vote for Leia or Luke. Leia being preferred! Considering your family, no names could possibly be more appropriate. This kid will probably be beamed out (oops wrong space ship) with a light saber in one hand and an i-pad with a blog already started in the other. This one will probably prefer Tweets over kicking Mommy. Better go ahead and set up a Twitter account! Oh Katherine- they are the cutest things ever! You definitely have your hands full- I don't see how you keep up with them! I'm tried from just watching! That was hilarious! Nathaniel saying "Are we really?!" was the sweetest! And Jake- "I can do it by myself!" LOL! SO RANDOM! I'll be curiousto see how Jake reacts when the baby is here... hehehe! That was so cute! The boys reaction, priceless. Congratulations! This video is priceless! I love how overly excited they are and how shocked and quiet they were at first. My son and I watched this and just laughed and laughed! Congrats again! How cute is Nathaniel showing Jake pictures of him as a baby? I love it. He's so precious. Rachel ... you people with all your Girl Talk! We'll see! I will be happy with a healthy baby, no matter the gender ... but I LOVE my boys! Chris, yes, I'm sure this will be one social media/tech-savvy baby! Lacy, I'll be interested to see how Jake does, too. Luckily he has his big brothers to keep him company and help love on him, too. Mandy, glad you liked the video so much! I'm so glad we have that memory forever; in a few years, I bet the boys are going to get a huge kick out of it. Wanda, I had a terrible sinus infection, so all I hear in my voice is that! But thank you for your kind words.